Android is the upcoming mobile operating system; developed by Google, this is the fastest growing OS among the mobile manufacturers. Companies like HTC, Samsung, and Motorola along with a lot of small companies around the world, are joining with Google to make it the number one mobile OS around the world; taking over Symbian, Blackberry and iOS. Besides increasing of market share, the quantity of applications on Android Market growing up swiftly. At the time of this post, Android developers provide over 100,000 applications to users community; listed into popular categories. Almost applications are free or require a little of bucks. Meanwhile, the socical networks also do a rapid growth remarkably. At present, they are able to present on all platforms, from PC to MAC, web-based to mobile. And today, I like to combine two these interesting topics into one post, tell you about top ten excellent Android social applications for Android-based smartphones. You can find them easily and quickly in the Android Market which is already installed in your device. Some of these applications are free and for some, you have to pay; however, for the paid applications, you may be able to find a demo version. Facebook for Android has all available options like the computer. In the home screen, the user can update the status. He can keep connections with his friends and share information, check the news updates, view the upcoming events and birthdays, write on an other wall and view their profile, upload the photos, write and read massages and share links and use great other functions. 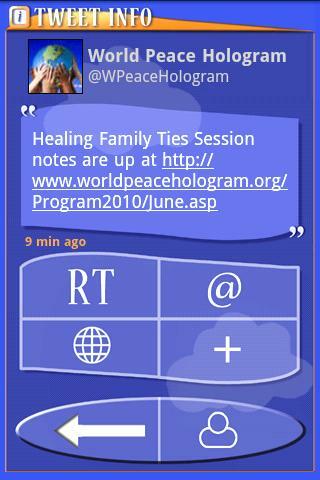 The official Twitter application allows the user to share his current state and check up on the latest news around the world as well as keeping an eye on his friend’s status. Other regular features like the live mapping, photo sharing, video posting, sending message and sharing links are also included. 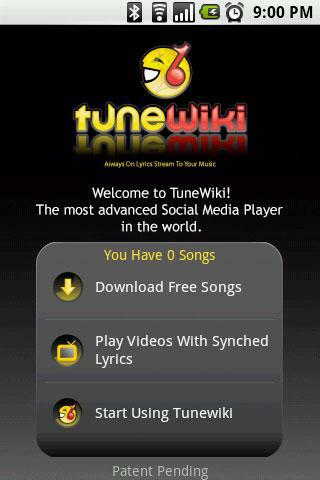 Tune wiki is an open source Android application which will help the users to create a music-based social network. The users of this application will be able to share what they are listening with others. With the Google Maps, the user can find what others are listening around him or anywhere in the world. It has a nice interface that will allow the users to browse through the library. Tune Wiki supports both audio and video files and the user can scroll down with the synchronized lyric while listening to the song. The virtual library can store songs and find similar tunes with the Internet connection. The IMEasy is an instant messaging application where the user will be able to use every possible form of communication including video chat, handwritten input, graffiti and map networking through Google map. 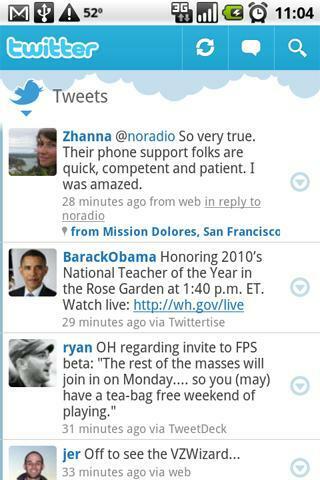 This Android application allows multi user sharing. 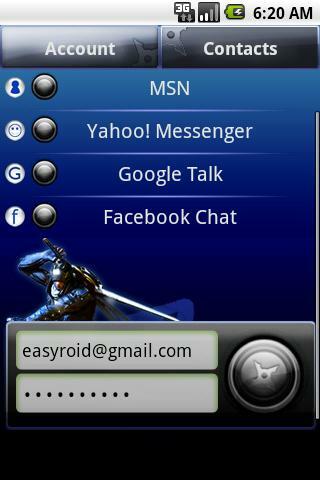 This is one of the best mobile chatting tools for the Android users, it lets you chat with many friends on AIM, MSN, Yahoo, Facebook and Google Talk in one application. MySpace is the official application for this famous social network. You will get all features like the MySpace web-based application such as sharing photos and messages with your friends, posting status, viewing profiles, chatting and receiving relevant news. The Life 360 is an innovative application where the user can create a virtual network around him to look after all members within the network. 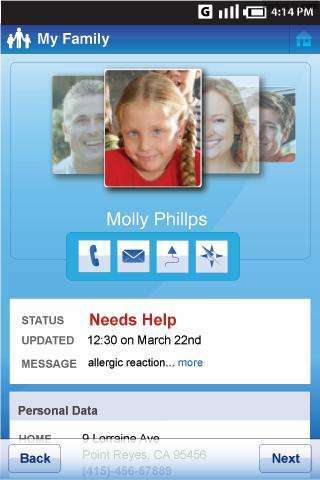 The powerful security system allows the user to call for help in any case of emergency. This is probably the most powerful application to maintain a strong social network with the neighbors and family. 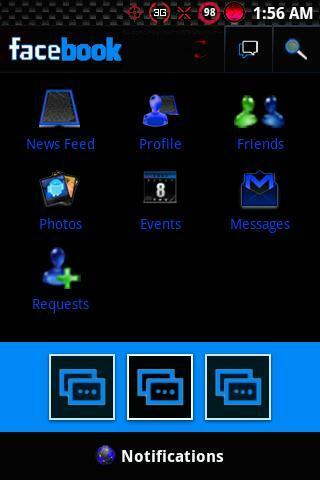 Nimbuzz is a free application for the Android-based phones. It allows the user to chat with their friends in almost every known social networks including Facebook, Skype, MSN Messenger, Yahoo, GoogleTalk, AIM, ICQ and MySpace. The users can choose to use any data connections like 2G, 3G and Wi-Fi. 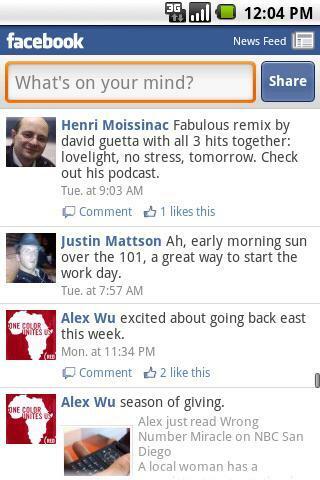 FBabble easily keeps you stay in touch with your friends on Facebook wherever you are! In FBabble, you can have many chat sessions at the same time, can swipe your finger to change from conversation to conversation you can do other stuff while the application is opening, … and more features include uploading photos, changing current status and even automatic tweets to your Twitter account. This is a fully featured Android application with large one hand navigation buttons and Google Translator. It supports the tilt scrolling and has G sensor. The Black Facebook is a fun application. It has two versions: blue on black and red on black. Included all the Facebook features; but not in the traditional Facebook blue. I hope you like this post and the Android social apps in this list are able to help you much for amazing & excellent experiments on Android – my most favorite smart-phone OS, used on T-Mobile G1 and now Motorola Milestone. By the way, visit my Super Ultimate Lists of Best Amazing Social Media, Web 2.0 icons if you like to get some new amazing & beautiful social media icons. can you tell me who is your cousin? android social apps fast beating apple apps today. 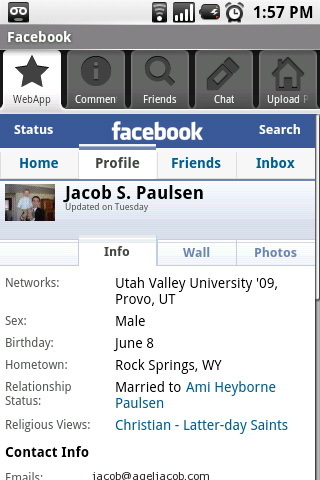 Facebook for Android and Twitter app are the ones for me. 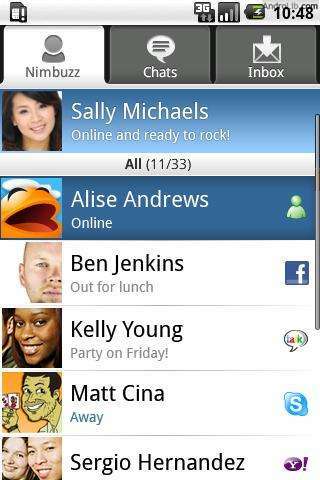 Very nice list of Social apps for Android phones. Thanks for sharing it. I like reading through and I believe this website got some truly useful stuff on it! .